This graphic recording was a nice way to address the state of my sketchnoting. 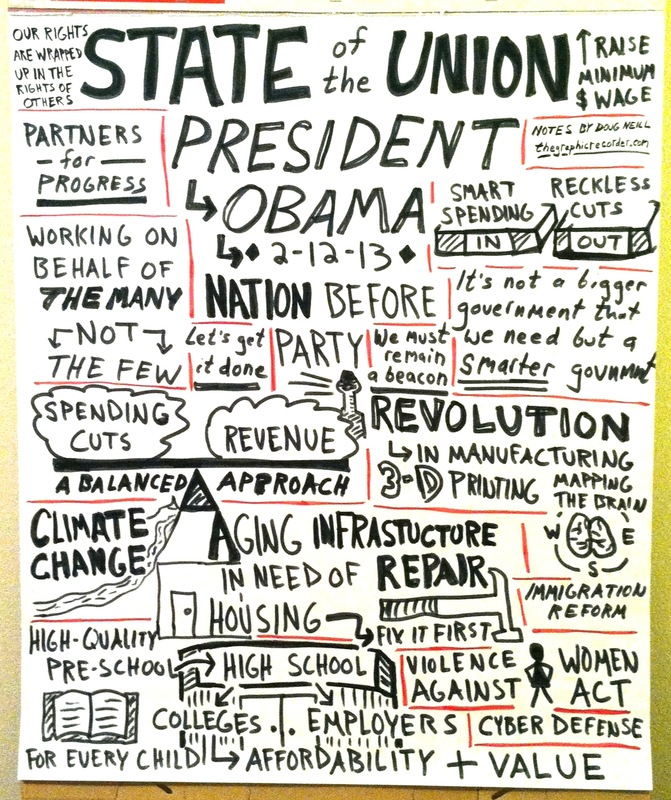 Just one year ago I did my first large-scale real-time graphic recording while listening to Obama’s 2012 State of the Union. It might be nice to keep this up year after year, marking my progress as a visual artist, and keeping tabs on the progress we make as a nation.